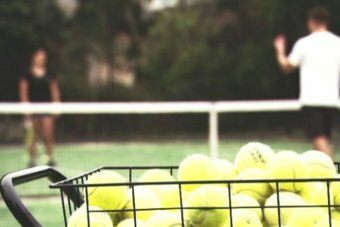 Tennis in New South Wales is in the grip of a civil war as eight elders of the sport face losing their life memberships over their role in the treatment of a child who complained about sexual abuse. The sport's bosses are at loggerheads with a cadre of furious members over how to move on from the damaging allegations, which were first raised in the 1990s, and the sport's handling of them at the time, which was slammed by the Royal Commission into Institutional Responses to Child Sexual Abuse. The ABC can reveal a retired judge is conducting a confidential hearing to break the impasse. A decision is expected next month on whether to recommend stripping the life memberships from the eight former board members, all of whom have been lauded for decades of service. The ugly crisis, which has until now gone unreported, has sparked a concerted campaign among clubs, split the current Tennis NSW board and divided the tennis community across the state. It has also raised questions about the nature of leadership and who should pay the price for the mistakes of the past. 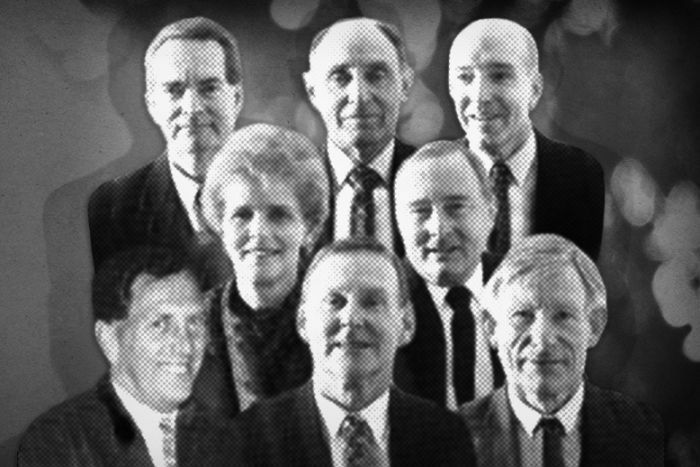 The issue pivots on a dark episode in the late 1990s, when the eight people sat on the Tennis NSW board. The royal commission found that Tennis NSW "completely disregarded" the welfare and interests of a 15-year old girl, one of their most promising junior talents, identified only as BXJ. She had alleged coach Noel Callaghan sexually abused her. BXJ said in her evidence to the royal commission that Mr Callaghan had made inappropriate advances, culminating in him breaking into her room at a tennis camp and straddling her, trying to kiss her. She said Mr Callaghan had told her if she wanted to get ahead in tennis she should perform sexual acts on him. Mr Callaghan has denied all allegations, and as recently as 2016 was coaching in the United States. Police considered charges against him, but they were dropped, among other reasons, because the girl could not face court. Her mother told the royal commission her daughter was too "devastated", a direct result of the way Tennis NSW handled the case. So what did Tennis NSW do in response to the girl's allegations? When Tennis NSW conducted an initial interview with BXJ, the royal commission found its lawyer asked BXJ "highly personal and inappropriate questions". Then-chairman John Whittaker (one of the eight fighting to keep their life memberships) and then-CEO Craig Watson (who is not one of the eight) were in the room during the interview. The royal commission found the interview was conducted "in an insensitive way [with] insufficient consideration" shown for BXJ's needs. BXJ's mother told the royal commission she and her husband were not allowed to attend the interview with their daughter, and that from outside the room, "she could hear BXJ's extreme distress and crying". BXJ's mother gave evidence that her daughter was "absolutely devastated" with the questions asked at the second interview, after which BXJ told her mother she had not been believed. MS (lawyer for NSW Tennis): What was [Callaghan] saying? BXJ: "I like the white shorts and white top you're wearing today." Something like that … I had white shorts on and he was watching me, and that's the impression I got — that he was watching me, not my serve. MS: So were they long shorts or short shorts? MS: Is it correct that you and [redacted] ran away from home? MS: … And someone told me that, that part of that …you met up with some boys at the beach. Is that correct? BXJ: What is the relevance to this question? MS: Well there have been several comments about suggesting and derogatory comments …about BXJ's behaviour with boys and some of those comments are based on these incidents. MS: Have you had a relationship with [name redacted]? KW (lawyer for BXJ): Sorry … I have a difficulty with her being, I mean I know this only …investigationand everything but she, as you can understand, probably end up feeling like she's in a, you know, a witness box. MS: Well, so does Noel. "BXJ became extremely distressed, and immediately after the interview she ran away from home for a number of weeks," the royal commission found. "She did not feel believed. She never played tennis again." The girl became suicidal and her mother told the royal commission what "defeated" her daughter was Tennis NSW's handling of the matter. The commission criticised Tennis NSW for not offering "any support" to BXJ and also found the organisation had failed to tell her a crucial detail: the investigator had believed her. It may never be known exactly what the eight fighting to keep their memberships considered when deciding how to treat BXJ, because more than eight years of board meeting minutes have gone missing. Ultimately, Tennis NSW transferred the responsibility of taking the complaint to police on to the girl. Mr Callaghan resumed his state duties after Tennis NSW's investigation concluded. In December 2017, more than a year after the royal commission released its findings, the Tennis NSW board asked the eight to voluntarily surrender their life memberships. A Tennis NSW spokesperson has told the ABC it came after extensive deliberations about "the right thing to do". Relinquishing the life memberships was deemed "the most appropriate way for those involved at the time to take responsibility for their actions and allow these distinguished members of the tennis community the opportunity to assist the sport in repairing its image and reputation". There were others on the board at the time, but they do not have life memberships to take away. The eight refused to take up the suggestion and started what has become a protracted fight to keep their honours. The sport's national body, Tennis Australia, has already quietly meted out its own sanctions over the episode, stripping Tennis Australia life membership from Des Nicholl in early 2018. National Service Awards were also withdrawn from Malcom Bergmann and Mr Whittaker. These are critical questions of trust and accountability, now facing every institution in the public eye, including sport. Just what is suitable punishment for mistakes of the past? When do leaders stop needing to pay the price for what happens on their watch? Last year, the entire board of USA Gymnastics quitover the organisation's handling of its child sexual abuse scandal. Some of the directors said they were unaware of the abuse, but resigned to help the healing process. The past is often said to be a different country. But lately it's been more like a parallel universe, so close to our own that the passage of time alone is no longer a defence. Increasingly too, it's not just leaders, but all of us who will be kept accountable for standards we walk past. From the banking royal commission, to the Catholic Church, to the #metoo movement, it has become clear that the past casts a longer shadow than ever before. "This was an important step for Australian tennis in our efforts to support those who are suffering and to redress what occurred in the past," Tennis Australia said in a statement. "We cannot change the events that have occurred. What we can do is support BXJ and her family and ensure new protections are in place." The organisation singled out Carol Langsford — the only former director to have attended the royal commission — for praise. "Carol Langsford played a constructive role during the royal commission and since, in supporting the sport's attempts to redress what has occurred. This was taken into consideration in regard to her retaining national recognition." The unresolved issue of the Tennis NSW sanctions has sparked angry and emotional lobbying, both behind the scenes and at the Tennis NSW annual general meeting in November. Through their lawyers, the eight have declined to respond to the ABC's questions. The ABC has spoken to several passionate supporters of the former directors. None will speak on the record at this stage, but they say the eight believe they were only following legal advice they had received at the time. Many of their supporters also note their advancing age as a reason to not pursue them. Supporters of the board's action, however, see it as a sign of leadership in a society calling for strong action to make amends for child abuse. The ABC understands that the Tennis NSW board is now split on the issue, and is pinning its hopes on the retired judge's recommendation as a way of stemming the toxicity.